Want to reduce your pain or discomfort? - Find out how we can help you. With Christmas day fast approaching many people will be juggling lots of preparations for the holiday period. Wrapping presents, wrangling over-excited children, organising relatives, doing last minute shopping and food preparations. This can be overwhelming both for our minds and our bodies. Here is simple tip to help you survive. 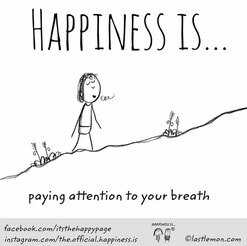 Breathe - yes it really is that simple! When we get stressed our sympathetic nervous system is triggered and this produces our fight and flight response. Even though we don't need to run away or have a fist fight with ...... (insert name here) our bodies cannot differentiate and so our heart rate increases and our blood pressure rises and this physiological response can make us feel quite unwell. There is a very simple technique to help reduce this effect. Breathing - slow deep breaths- can re-balance the sympathetic and parasympathetic parts of the nervous system and make us feel much more relaxed and comfortable. Breathe in for a count of 6 and breathe out for a count of 6. This reduces your respiratory rate from 10 - 14 times a minute to about 5 - 6 times a minute and in turn this settles our body (and soul). So if over the next few weeks it all gets a bit much, find a quiet corner (or lock yourself in the bathroom) and spend five minutes breathing slowly. If anyone asks what you are doing, tell them it is essential maintenance! Happy Christmas and here's to a healthy 2019.